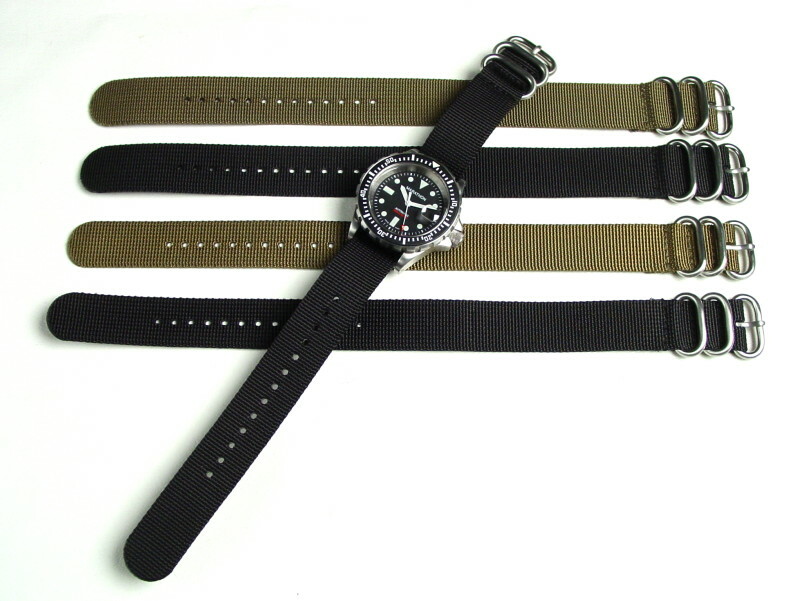 There are a vast range of military watch straps which are popular with both serving and retired military. We can't unfortunately cover them all but we have tried to cover the main ones which are either popular or in current use. The strap which many serving and ex military personnel refer to as the NATO or G10 strap got its name because of the form which UK military use to requisition the strap (and other items) from the stores, most likely the term NATO strap is because it has a NATO stock or NSN number, there are actually two NATO stock numbers allocated to the item: Army/Navy 6645-99-124-2986 and RAF 6645-99-527-7059 These numbers are applied to most NATO issue items and identify a product that meets a narrow range of specifications and requirements. NATO straps are now available in a wide range of colours because to an extent it has become a fashion item but at the same time search and rescue favour orange and serving military have their own preferences. I was speaking to two pilots recently who fly for Air Canada and they both wear a Breitling Emergency watch on a black NATO strap which actually looks very good. It is interesting to note that the original NATO strap to which the specification applies came in only one color which was grey and it was originally only supplied to the Royal Navy in a width of 20mm. The fittings were originally chromed brass but I have seen current issue straps which use stainless steel. The interesting thing about the UK NATO strap is that many people find it rather like a Chinese puzzle when it comes to working out how to wear it! The main reason is that it is 30cm long and they often end up cutting it down and ruining it. For those who hit this problem check out the You Tube video below. DID YOU KNOW A US COMPANY TRADEMARKED BOTH NATO AND NATO-G10! 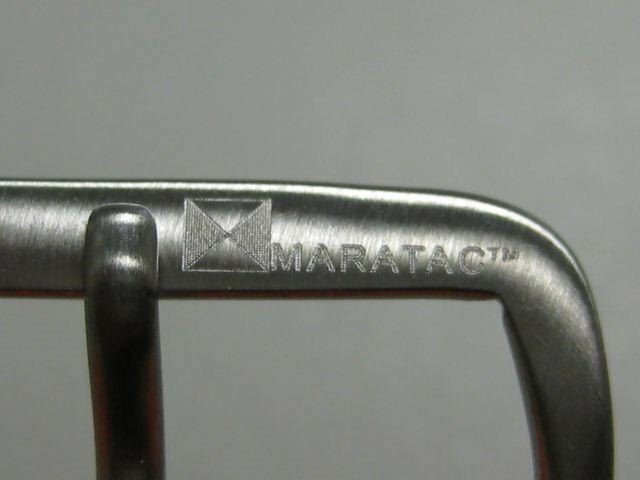 Something interesting regarding these straps is that a US firm called International Watchman - The Terms NATO and NATO-G10 have been trade marked in the US by International Watchman, Inc. CORPORATION OHIO 4301 Manhattan Ave. Brunswick OHIO 44212 - have trademarked NATO and NATO-G10 in the area of watches and watch straps. Clearly this is a really unethical tactic considering NATO is an international organization and frankly it needs to be brought to their attention to ensure steps are taken to cancel the trademark. The link to bring this to their attention is at http://www.nato.int/cps/en/natolive/contact.htm I am frankly pretty taken aback that the USPTO allowed them to register NATO as a mark but clearly a company who engages in tactics of this sort is best avoided because if they behave unethically in this way what else might they do when it comes to after sales service? Just Google International Watchman Review as I did its quite revealing! These straps are easy to source in Europe and the US but I tend to recommend the three firms below. The US has issued a wide range of straps over the years but one of the most popular is at this URL Broadarrow this type of strap is the classic US alternative to the Eurpean / UK NATO strap and has the advantage that it does not need to be looped back on itself. The supplier of these straps Broadarrow also sells the Zulu strap see Zulu Strap which is a hybrid of the US and UK NATO strap but with a few interesting twists to the design. The supplier of these straps made by Maratac Broadarrow the NATO Straps are also worth looking at and although dearer than some alternatives when you looks at the detail such as the buckles they are worth the slight extra cost NATO Straps where this becomes is interesting is when they are compared to an original NATO strap at which point it becomes clear the buckles etc are of exceptional quality. Generally in most military situations there are rules governing tactical situations that limit watches to non-reflective metals such as sandblasted steel or black PVD or plastic although specific requirements are often imposed depending on the circumstances. The ACU Strap can be purchased from a variety of locations but I recommend buying the original item if possible because the copies are often of poor quality. One thing to keep in mind is they come in two sizes so depending on the watch you need to determine which one suits the watch you own. One watch strap which is fairly unsuitable in some ways because its leather which is nevertheless popular is the 1950s pattern covered watch strap below. Of course the interesting point is that in the 1950s it was designed to protect the watch from damage but its attraction now is to conceal tritium GTLS watches and even Luminova watches when on deployment and in dry and desert conditions where it remains dry it works really well. I found quite a few at various prices on eBay. 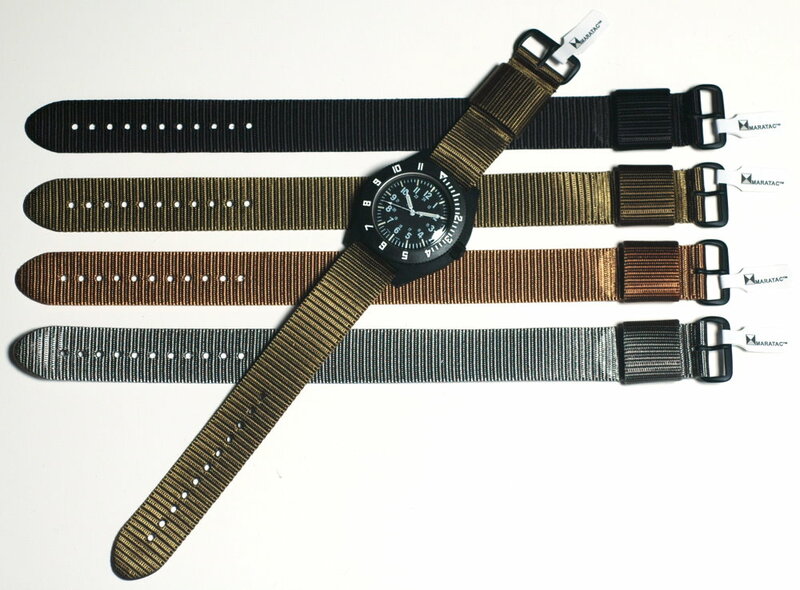 Other than the straps above there are numerous other options which are popular with serving military such as the silicon deployment strap below. Another popular option is carbon fiber or kevlar. Regardless of whether you opt for silicon as above of carbon fibre pictured below the key is to remember that leather is not ideal for military watches because watches impacts it negatively hence manmade materials tend to work better.